Visa Incorporated is a payments technology organisation which provides credit, debit and prepaid banking card facilities. Allowing consumers to carry out banking transactions, globally. Both individuals and business customers can use the card unlimited by their credit ranking and risk profile. 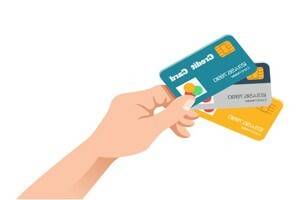 However, each card option has features, benefits and terms of condition that sift consumers by their credit worthiness. Read further to learn how the process of applying for a platinum card works. Visa Incorporated has allowed banking institutions in any country to issue the cards to their clients. Who have the support of their payments technology. In this way, the bank exercises third party control over who gets which card facility. Based on their operational terms and conditions but in line with Visa’s feature controls. Merchants will accept Visa cards, at all purchase points where they allow Visa. The merchants pay Visa Incorporated for the ability to use the payment facility. The bank has to incur the credit risk of each transaction carried out using the card. This is why they institute candidate vetting and profiling based on credit worthiness. People accept that the platinum visa card is the highest standard visa card for high net worth clients. The conditions for application for the use of the card vary by financial institution. Although it is mostly dependent on the client’s income earning levels and their credit ranking. They accept people with an excellent credit ranking for the use of the Platinum Visa card while those with poor credit ranking will be provided with another option. In another tier of Visa products such as Pre-Paid Debit Visa Card or Gold Card. Acquiring the Platinum Visa Card in South Africa is mostly done through one’s chosen banking institution. People predominantly accept this card as a way to represent a luxurious lifestyle. Ranking at the top of the Visa suite of cards, and functions on a credit facility. The client can pay for something without the need to deposit funds. Before the purchase is made. The generic benefits that a Platinum Visa Credit Card holder is entitled to include Travel cover insurance as well as discounts on accommodation in certain hotels, Lost Card quick replacements, Secure Online Purchases, convenient money transactions across the globe and the ability to make purchases in over 200 countries that accept Visa technology. Non-generic benefits for Platinum Visa Credit Card holders vary by banking institution based on the trade link agreements the bank will have made with other organisations in their markets of operation. In South-Africa, the banks will have agreements with organisations like eBucks, private airport lounges, health or beauty spas and restaurants, and the banks will offer these packages as part of their rewards for a client choosing to operate a Visa Platinum account with them.In this regard, banking institutions will then promote the use of the various Visa cards with compounded benefits dependent on the card. The rewards may be on a usage point system.